Beekeepers and fruit orchard growers in Spain are facing the serious threat of Asian predatory wasp (vespa velutina nigritorax), which has spread from France. 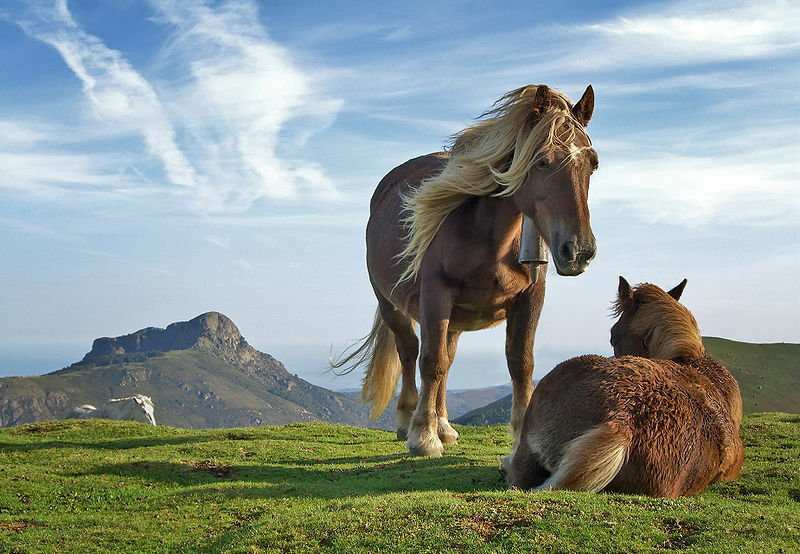 The species was first detected in the Basque Country three years ago from where it has spread to Castilla y León, Cantabria, Asturias and Galicia . 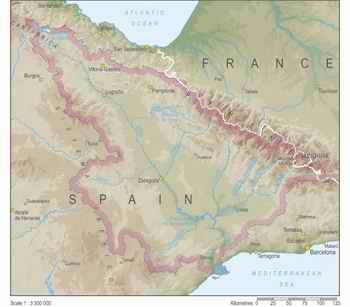 In 2013 it was found in La Garrotxa (Girona) in Catalonia having spread from a separate French population. Honeybees make up some 80’% of the wasps diet. Even more worryingly, the wasps also pose a considerable risk to biodiversity in Spain as many plants are dependent on honeybees for pollination. As far as humans are concerned, people have been hospitalised in France after suffering anaphylactic shock as a result of multiple stings. Hundreds of specimens of Vespa velutina, a species of hornet known popularly as “the Asian predatory wasp” or “the Asian hornet,” were found last month in the Vall d’en Bas, a valley in the Catalan municipality of La Garrotxa. The find has sent all kinds of alarms ringing among rural officials and local beekeepers, who know time is running out: if the nest is not found and destroyed by November, the females growing within will fly out and start their own colonies elsewhere in the region. “Before the fall is out, the more than 200 wasp mothers now germinating inside the nest will seek new locations to create new hideouts and hibernate,” explains Josep Vilar, chief of the rural agents of La Garrotxa. Each female can produce over 12,000 offspring. The Basque Iberian wolf group, Grupo Lobo de Euskadi, is organising a couple of days of talks on the 19th and 20th of December, 2008 in Vitoria. This will be the fourth of these meetings, reuniting wolf experts in Spain, and will be attended by naturalists, biologists, ecologists and farmers as well as being open to members of the public. One of the country’s foremost wolf experts, Carlos Sanz, will be among the contributors and the main focus of this year’s meeting will be given over to the national wolf conservation movements and their opinions on the various wolf management strategies of Spain’s autonomous communties. Previous meetings have included themes such as the biology of the Iberian wolf and problems relating to wolves and livestock. Contact details for applying to attend are included on the link below. It promises to be interesting! The programme can be downloaded here on pdf. 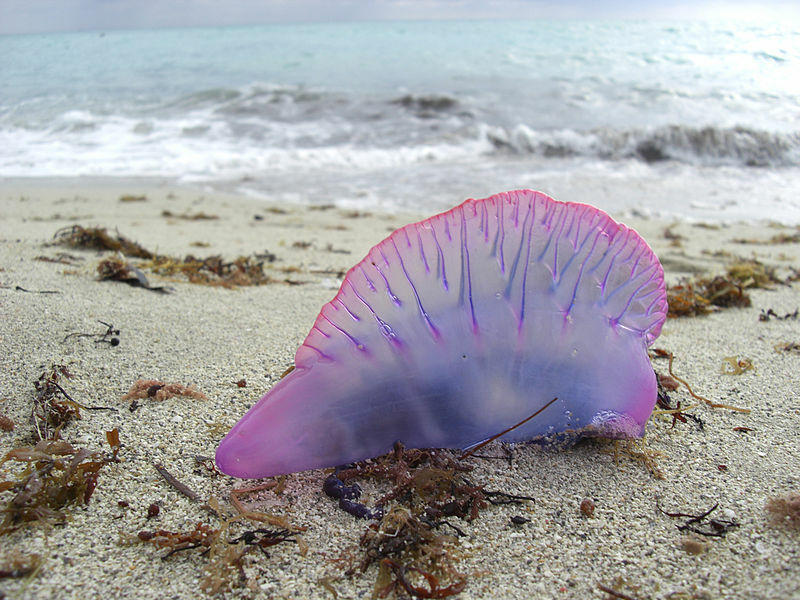 In recent weeks the presence of Portuguese man o’war (Sp. carabela portuguesa- Physalia phisalis) has been detected at various points on the coasts of Asturias, Cantabria and the Basque Country. Several people have been stung in beaches in Guipúzcoa (Ondarreta and Zarautz) and in Cantabria (Isla) although nobody has yet been seriously injured. Four years ago, the massive presence of the species forced the closure of several beaches in Asturias. Experts believe that the rise in the temperature of the Cantabrian Sea due to climate change has brought the Portuguese man o’war here with warmer waters. The cooler waters of Galicia have so far been free of the threat. El País. The purple Man-o-war is not a true jellyfish, but a colony of hydrozoan polyps. It can in extreme cases provoke a cardiac arrest and death in particularly sensitive persons. I’ve put together this short guide to caves in Spain. I will be adding more material soon. Below la Torca del Carlista in the Basque Country, the largest cavern in Europe. Only currently accessible to expert cavers.